Southwark Cyclists has no membership scheme as such. Anyone who shares our general views about cycling can regard themselves as a member – and especially if they come to our meetings, rides and events. Just turn up. Everyone is very welcome. If you want to help with anything at any level, even better. But no pressure. Try us. We have a formal constitution that declares our clear mission to: encourage more people to cycle, improve conditions for cyclists, raise the profile of cycling. We also have a clear Equal Opportunities policy. We do encourage people to join the London Cycling Campaign (LCC). We are the independent borough branch of the LCC. 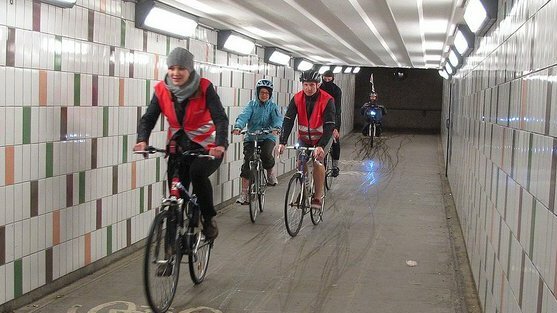 With over 9,000 paid-up members it’s the largest cycling urban group in the world. There are over 800 LCC members living in Southwark. It also gives members their useful two-monthly magazine (into which we try and stuff our own newsletter). Plus, we sometimes get special deals on third-party insurance, legal helpline, public liability insurance and great deals on theft insurance. Plus, a very useful 10% discount in many London bike shops is a special feature for our members. A lot of us find that that discount alone more than pays for the cost of membership. For more information – and to join – visit the LCC website. Choose Southwark when asked to select your borough.